I have been doing this blog thing for a little over a year now. Can I use the excuse that I was a rookie who did not know what he was doing and forgot about Mother’s Day last year? Nope, did not think I could. Well, I am not going to forget this year! Sometimes more than we like to admit, we are products of our genetics and upbringing. I wrote a blog post last week on my biggest pike, https://barbsandbacklashes.wordpress.com/2010/04/29/my-biggest-pike/ , well, my grandmothers were pike anglers! 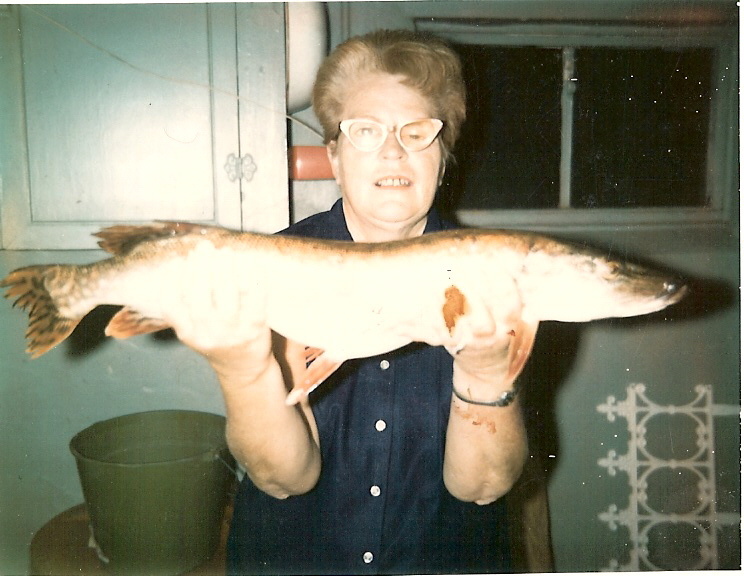 That's my mom posing with Grandma Roth and what I am betting was an Elkhorn River pike. And this is my Grandma Bauer. I do not remember where that pike was caught, but it very well may have been Box Butte Reservoir. Both of my grandmothers are gone now, but I did get to spend at least some time fishing with both of them. 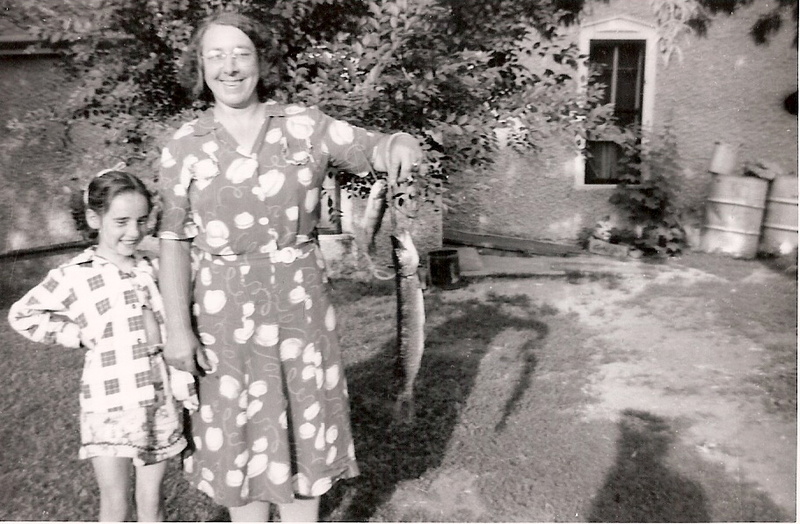 I can remember getting so excited with a white bass that Grandma Roth caught at Merritt one time that I got all tangled up in her line and caught a bit of a tongue-lashing from her. She made the best maple logs I have ever eaten. I cannot tell you how many days I got to spend with my Grandma Bauer camping and fishing on the shores of Lake McConaughy. It was a bunch, but not enough now that she is gone. I can remember Grandma sitting there, waiting for a bite and singing a little rhyme, “Fishy, fishy in the brook, come and bite on Daryl’s hook”. Finally I have spent a lot of time fishing with my mom too. 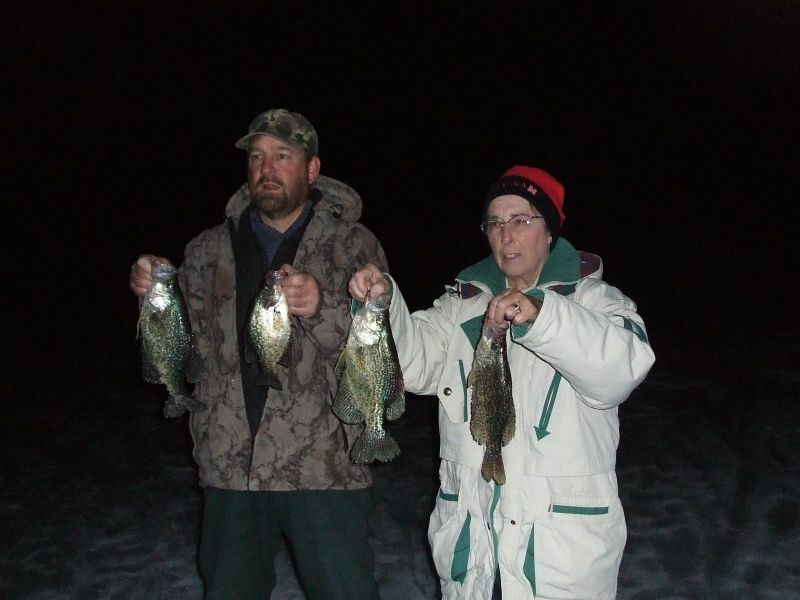 How many of you can show off an ice-fishing picture of you and your mother? And yes, she caught the biggest fish that day! Very nice, Mr. B. This MAY be your best “blog” yet! Note, “Fishy, fishy in the brook, come and bite on Daryl’s hook” just MAY come back to “haunt you”! Ha. Haunt me? It has never let me down!